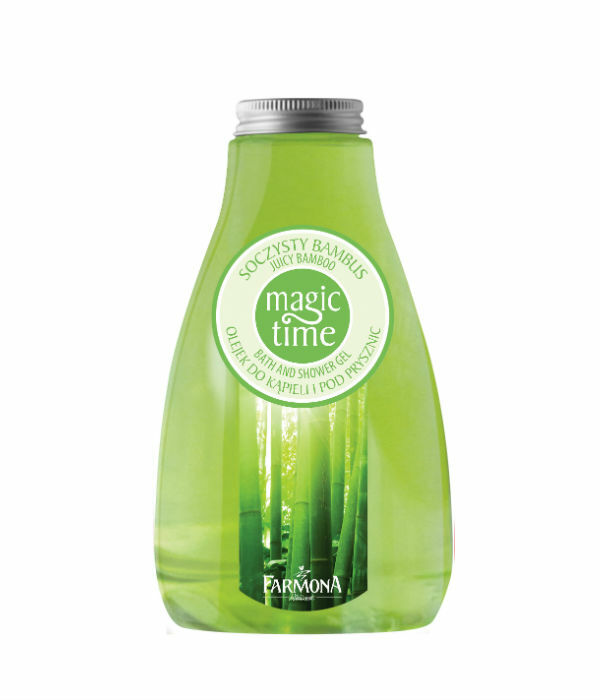 Cleanses and takes care of the skin, giving it a silky softness and smoothness. The silky foam embraces the body, while the hypnotizing fragrance invites you to a world of dreams, leading you to a state of relaxation. Aqua (Water), Sodium Laureth Sulfate, Cocamidopropyl Betaine, Sodium Chloride, Polysorbate 20, Panthenol, Propylene Glycol, Bambusa Arundinacea (Bamboo) Leaf Extract, PEG-150 Pentaerythrityl Tetrastearate, PEG-6 Caprylic/Capric Glycerides, PEG-7 Glyceryl Cocoate, Parfum (Fragrance), Methylchloroisothiazolinone, Methylisothiazolinone, 2-Bromo 2-Nitropropane- 1,3-Diol, Magnesium Nitrate, Magnesium Chloride, Disodium EDTA, Citric Acid, CI 19140, CI 42090.